Are you wanting your family to camp with you? Do you enjoy camping as a couple? 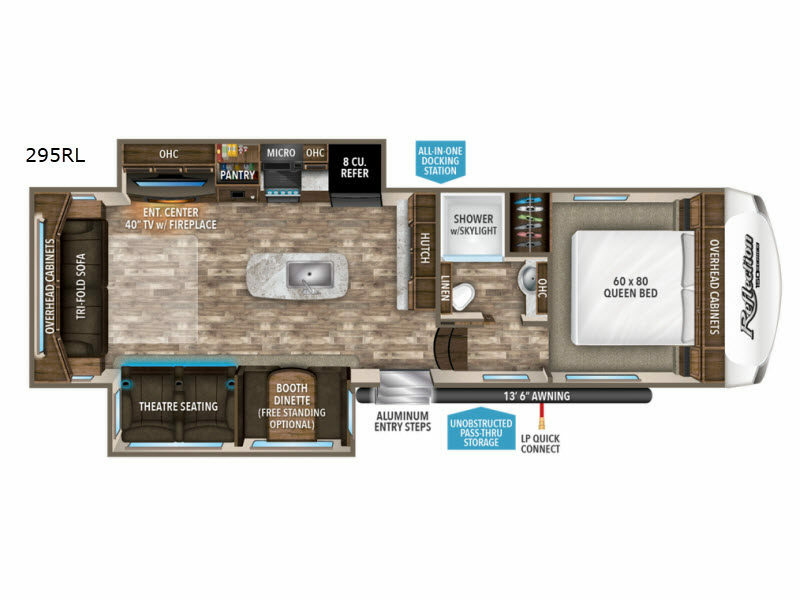 Either way, this Reflection 150 Series fifth wheel will provide comfort and all the accommodations necessary for fun in the great outdoors! You can be preparing the sack lunches on the kitchen island while your spouse or the kids are planning the adventure for the day, and when the outside fun is over, the fireplace and 40" LED TV will provide a nice area for everyone to gather before bedtime. Then imagine yourself sleeping in a queen bed while the kids fold down the furniture in the living area for their own sleeping space. There is plenty of storage inside, and the outside has an exterior unobstructed pass-through compartment for everyone's camping items, plus more.